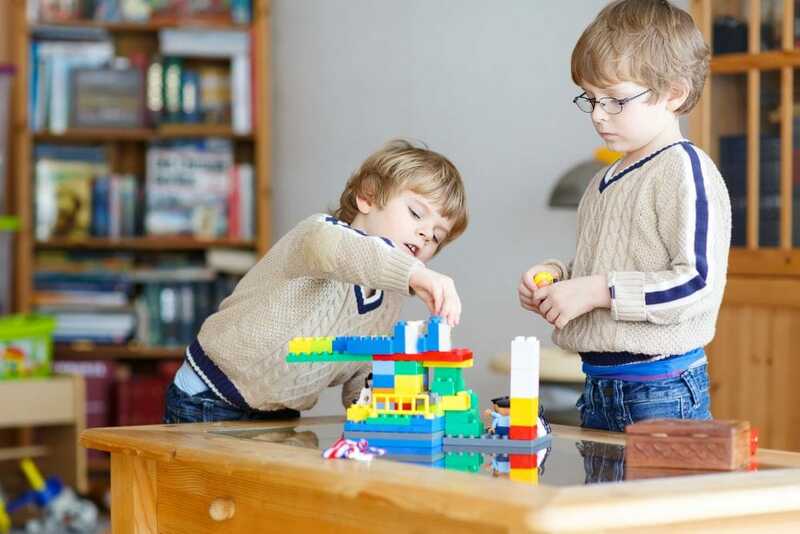 What are the best toys for 7-year-old boys? At the end of the day, most parents want to see a big smile on their child’s face and the right choice of toy can help with that. There’s a vast array of toys suitable for this age group. How can we select the most suitable option that will entertain and possibly educate too? Let’s understand our children better and discuss the developmental milestones they’re going through at this age. I’ll then share my reviews of the best toys for 7-year-old boys. Use the links above to check the latest prices or read our in-depth 7 year old toy reviews below. 7-Year-Old Boys: What’s Developing and How? Speech and language: At this age, kids can speak more clearly and form more complex sentences. They might be developing a sense of humor. They’ll understand that a word can carry several meanings. Emotions: They’re able to share their feelings and might take a great deal of time to tell you about their day at school. Cognitive: Understanding directions, numbers, and time, mental ability improves considerably. Questions starting with the word “why” may be numerous. Memorization improves. Social: The taste for independence continues and expands. Some might start playing team sports at around this age. Motor: Improved body coordination and balance. They might be able to combine movements to create one action, as is required with cycling, for example. These milestones should be a good gauge on how to pick the best toy for a rowdy 7-year-old boy. Here are a few concrete examples of toys that might be the perfect fit, depending on what you’re looking for. 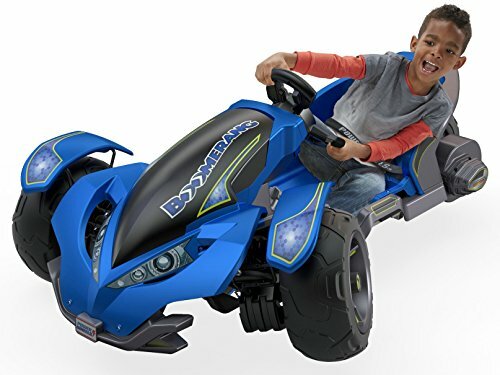 Ride-on toys should help them master both balance and coordination: At this age, they might request more challenging rides, such as a scooter, which is a widely popular option at the moment. Parents can easily be tempted to overly control and micromanage their child’s learning process, which is a typical response, no judgment here. However, it’s important to let each child evolve at his own pace, in his own way, and not be compared to his playmates. Now that we understand which types of toys might help your child reach important milestones, let’s have a look at the best 19. This racing car should challenge your child’s building and logical-thinking skills. Composed of 135 pieces that are easy to assemble, a 7-year-old boy will likely have as much fun building the car as he does playing with it. Sturdy in construction, it’s made to resist shocks and crashes. To activate the motor, pull the car back and release. Built with a robust bumper, and large thick wheels, it also holds an engine that pops out during a crash. Given the age range is up to 14 years, this item has the potential to “grow” with your child, providing years of entertainment. 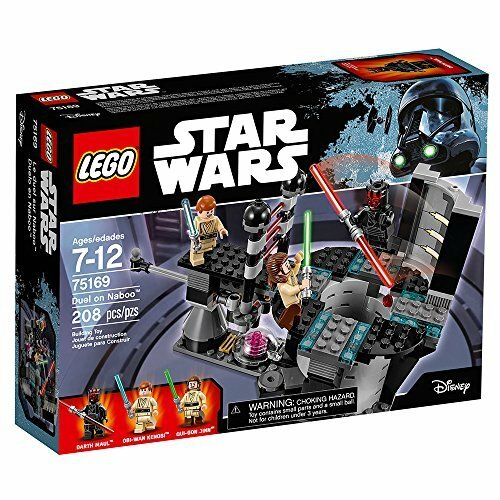 Young boys love Lego and this popular Star Wars Lego set features all the accessories needed to recreate the battle between Darth Maul and Qui-Gon Jinn. Each character comes with its famous respective lightsaber. Obi-Wan Kenobi tries to join the battle but gets held back by laser gates, which open thanks to a push-activated system. A catapult sparks up the battle, and the generator includes a chamber with removable lava. Your kid can come up with plenty of new scenarios with the 208 pieces included. Does your child enjoy drawing or coloring, but needs a little assistance? This coloring tablet might help him reach the artistic design he’s after. Ten tracing sheets are included, all sports-themed, with a wider variety available for download online. Insert the traceable image onto the pad and place a sheet of drawing paper over it. 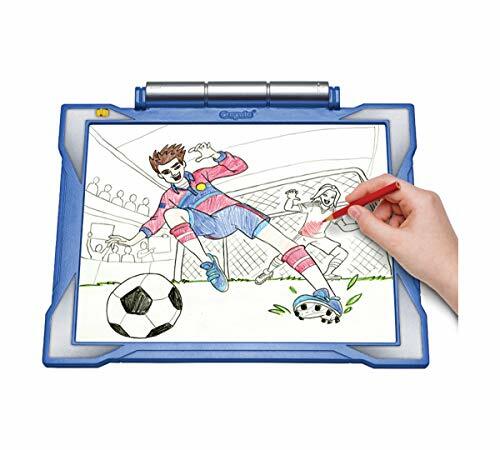 The non-slip frame holds the paper in place and the drawing pad lights up to reveal the traceable image for your kid to follow. Paper and colored pencils are included. Batteries are required but need to be purchased separately. Drawing in the dark has never seemed possible until now. Wondering how to get your child to spend more time outdoors and burn all their extra energy? This award-winning toy might be the solution you’re searching for. These rockets should get your kid running and jumping to launch the rockets as high as 200 feet in the air. Yes, you read that right! Included are four rockets in total, so he’ll be scrambling to catch them once they land. 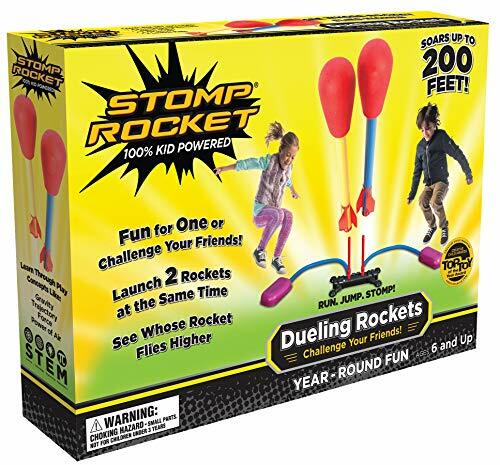 This kit comes with two launching pads, allowing him to invite a playmate or family member to compete. Not only will it get your child engaged in some physical activity, but it could also develop his taste for competition. Looking to teach your child history and paleontology, while sharpening his patience and precision skills? 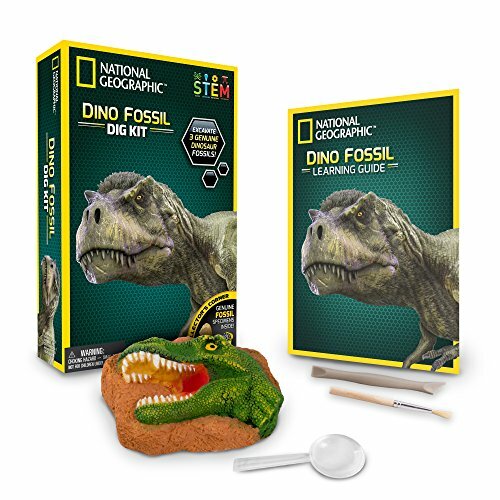 This dinosaur fossil kit contains a dinosaur bone, tooth, and even dino poop. A 7-year-old should be able to dig up the treasures independently, building confidence as he goes. The included booklet provides additional information regarding the findings and the dinosaurs living in prehistoric times, motivating them to dig further. To make this experience more realistic, this kit comes with a magnifying glass and digging tools. This interactive and electronic robot kit features real tracks, a movable body, and a working searchlight to best explore new planets. Another hit by the infamous Lego brand, the kit includes 205 pieces. When terrestrial exploration is over, the robot turns into a robot bird, to explore further grounds. The robot bird converts into a digging robot dog, to continue the imaginative roleplay. 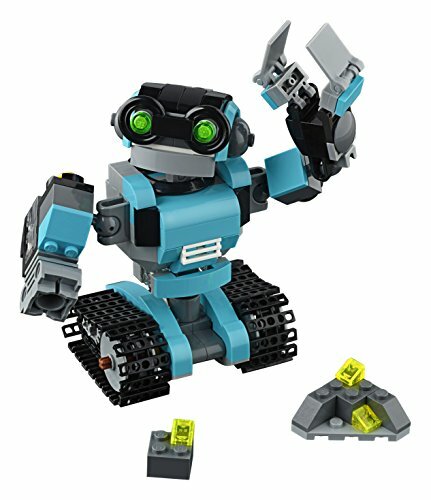 This adorable and versatile robot is easy enough for a 7-year-old to build on his own, while still challenging his construction skills. We know we’ve gone a little Lego crazy here, but they’re always a winner with the boys. Due to Minecraft’s popularity in the past few years, this option should be a hit. The fun starts with the construction of the zombie cave, and continues with an exploding function, revealing coal, diamond, and red stones. To spark up the game, Steve Minecraft gets all the needed accessories to fight against a zombie, a baby zombie, and a bat. 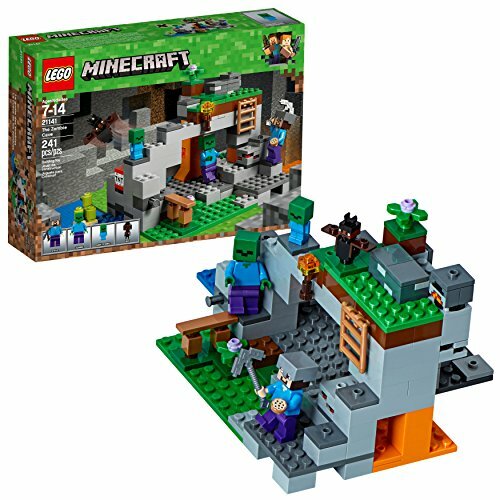 The 241 pieces include a ladder to escape the zombies, a furnace, and lava for protection. Your son’s Minecraft experience just got more real. Needing a toy to make pool time more exciting? This unique, water-friendly kit is made of sturdy plastic to endure sun and chlorine from the pool. 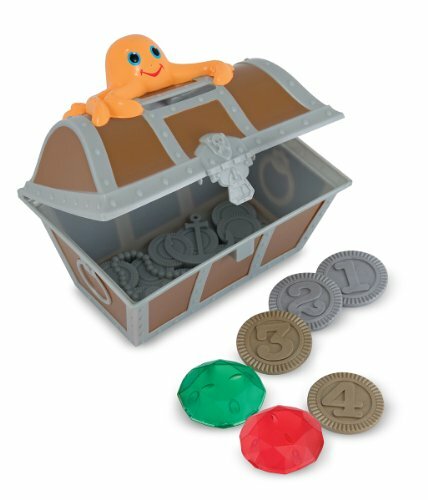 While the treasure chest is floating, the coins and jewels sink to the bottom of the pool. Solo or playing in teams, searching and diving to retrieve the treasures should create plenty of fun and exciting moments. Under parental supervision, this pool game may boost your child’s confidence in the water, improving their agility and swimming abilities. It’s possible you didn’t know that such a toy even existed but hey, here’s to surprises. This is such a cool option for little boys and could really get their minds working. 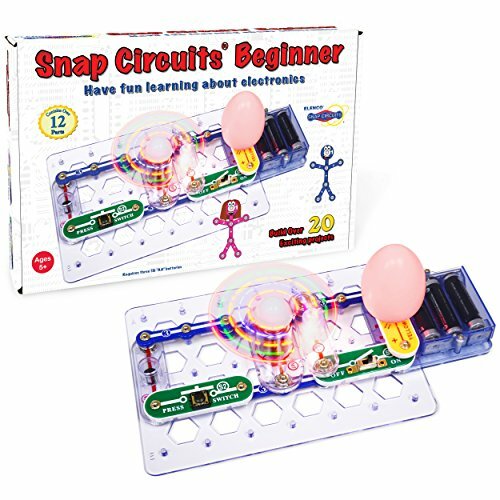 This beginner’s circuitry exploration kit comes with 20 different projects, starting with simpler ones, leading to progressively more complex circuits. Each circuit aims to help your child understand how electricity flows. With 12 pieces in total and built with circuit-safe technology, these electronic circuits should challenge any 7-year-old boy. He might be showing off his new knowledge in no time. An easy-to-follow manual should help with any bumps along the way. Pokemon might seem like a strange phenomenon to most parents, but for some kids, the Pokemon trading cards are a real passion. Increasing their collection by possessing additional cards is the key to winning battles. This Pokemon bundle includes the Charizard, Mewtwo, and Dragonite boxes. Each contains a larger card featuring Pokemon-Ex, and four packs of pokemon cards. These should give your child a good advantage in their next Pokemon card battle! When it comes to superheroes, Lego comes out on top, yet again. 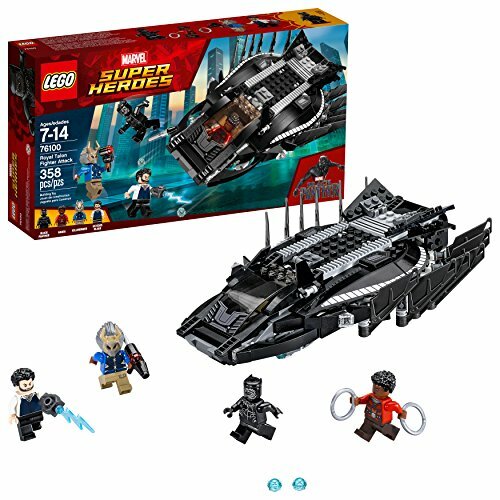 The 358 pieces come together to form the impressive Royal Talon Fighter, which is Black Panther’s superhero vessel. Under the vehicle, you’ll find two shooters for defense and attack. The cockpit, located at the front of the vessel, opens for a driver to hop on board. The rear compartment can serve as a prison or a storage space for the included weapons. To make this vehicle come alive, this kit also includes Black Panther, Ulysses Klaue, Nakia, and Killmonger figures, with detailed printing and dual facial expressions. Is your boy getting bored with his old-fashioned scooter? Not quite ready for an electric one? This scooter might be the perfect transition and compromise between the two. 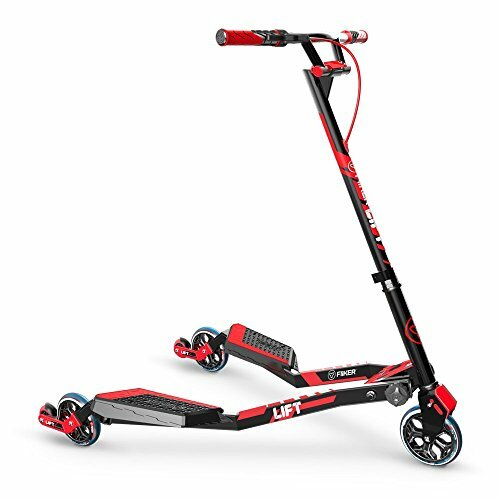 This foldable scooter is lightweight and made with strong-grip rubber wheels, to help your child maintain good balance. The added mini-wheels at the rear allow sharp, fast, but safe turns. The most adventurous riders might even lift the 360-degree rotating handlebar to ride on two wheels. Any scooter enthusiast knows the benefit to this free-spinning, trick-inducing unit. Breaks are easily accessible on the handlebar to slow down or take a break. After the fun is over, the scooter can be stored away easily, with its “twist and fold” mechanism. 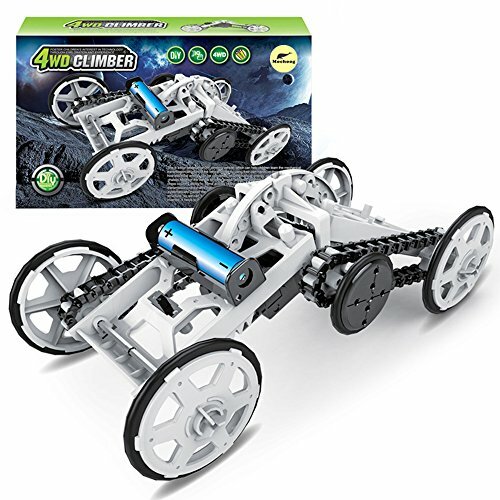 Combining basic technology, engineering, math and science skills, this climbing vehicle is highly educational. Although it might challenge your child’s critical thinking and problem-solving skills, this vehicle is simple to assemble and build. Straightforward wiring will be needed to get the vehicle started, and full instructions are included. Once built, the vehicle chassis can be set to three different angles to climb obstacles up to 2 inches high. This kit is made from non-toxic material, and if you’d like to introduce your child to renewable energy, solar panels can be purchased separately. Watch out world. Perfect for a lively young boy, this powered vehicle features three large and stable wheels, to handle most adventurous drivers and sharp, goosebump-inducing turns. Driving at a maximum of 5 miles per hour — 2.5 miles per hour in reverse mode — this fashionable vehicle can drive over grass and even rough grounds with its AWD (all-wheel drive). Strong brakes will keep the vehicle under control. For comfort, the seat is adjustable, and for safety, it also comes with a seatbelt. Stylish and sleek, your 7-year-old will be feeling too cool for school with this ride. 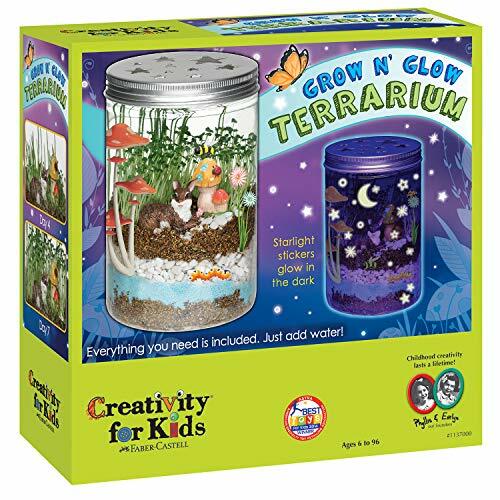 This award-winning terrarium is a great way to introduce your child to nature and plants. No stone has been left unturned with this special set, which teaches kids the basics of planting and plant care, with wheatgrass and chia plants. It comes complete with decorative items for the garden, sand for decor, and more, to help with the beautiful design of this terrarium. Glow-in-the-dark stickers help present a lovely display at night, while waiting for the seeds to sprout. A small spray mister will keep the soil moist and, after three days, your child’s little ecosystem should start to show signs of life. Tired of remote-control cars breaking down after a few outdoor drives? Looking for one able to withstand your child’s wildest adventures and rough accidents? 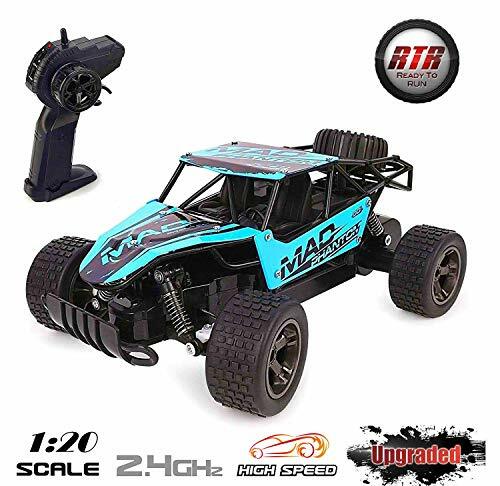 This remote control operated truck can race indoors and outdoors, including in water, mud, and grass. The suspension system and off-road feature should keep the car upright, even on high-speed missions. Alloy plates and a sturdy build keep it rough and tough along the way. Indoors, this vehicle is designed to leave no marks as it turns. Easy to clean, it even contains seats to place passengers. A remote control is included for forward, backward, and left to right moves. Your child won’t have to wait to get started with this pocket-sized robot; it comes already assembled. The coding kit comes with stickers and accessories, allowing him to customize the robot to fit his style and taste. Draw up to 20 different color sequences using the included markers. Built-in optical sensors and LED lights will allow the robot to advance following the sequences. 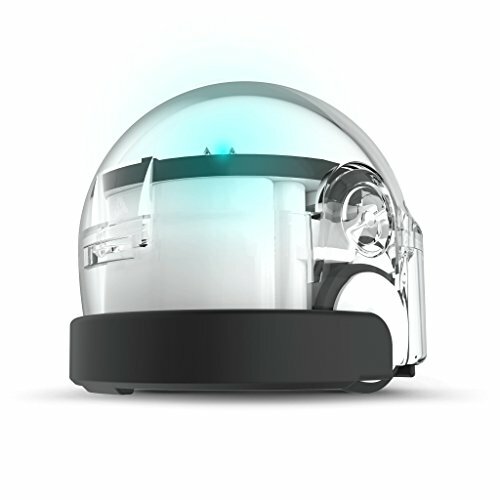 For experienced players, the little robot can be programmed directly from a computer or tablet. Drag and drop the colors as needed and load your robot by holding it up to the screen. An online library provides further options for robot fun. 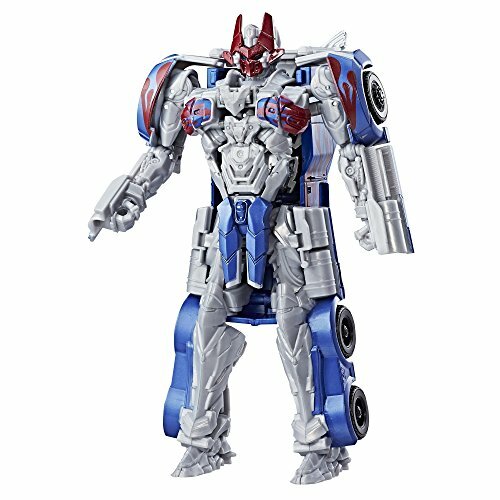 Clearly inspired by “The Last Knight,” this Optimus Prime toy combines an impressive robot and truck into a single toy. Transformation happens in a simple two-step process. A button located on the chest reveals a red battle mask and should entail exciting and passionate fights. The limitation of this 8-inch-tall toy is that it comes with no articulations — besides the elbows — and doesn’t come with weapons. Given the creative potential of 7-year-olds, we’re sure they’ll find other weapons around for battle or make some of their own. Instructions are included on the box. In need of a toy to keep your kid busy during a long road trip? At this age, boys love to figure out how things work, how they’re made or built. 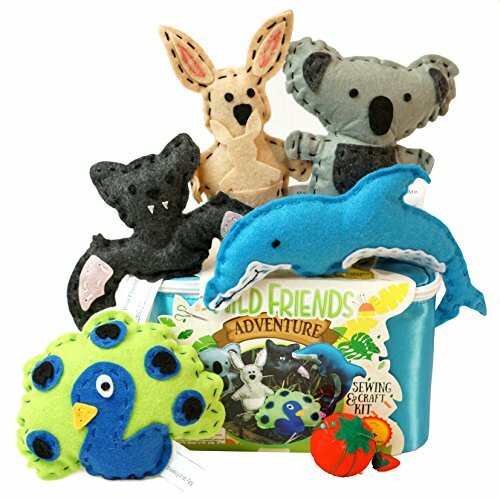 This animal-themed sewing kit might be ideal for that reason while teaching your child how a stuffed animal is brought to life. Kids might make a craft animal for themselves or proudly offer one as a gift to a sibling or friend. Plastic needles are included in the kit for additional safety. It contains colorful threads, name tags, precut designs, cotton to stuff the animals, and more. Last but not least, a nylon carrying case holds all the components for your kid’s first sewing adventures. As we all know, 7-year-old boys are full-steam, all the time. They need to keep busy and have ample opportunities for energetic output. We’re super glad to know that so many toys exist to help them accomplish that while reaching developmental milestones. Has this selection given you new ideas? 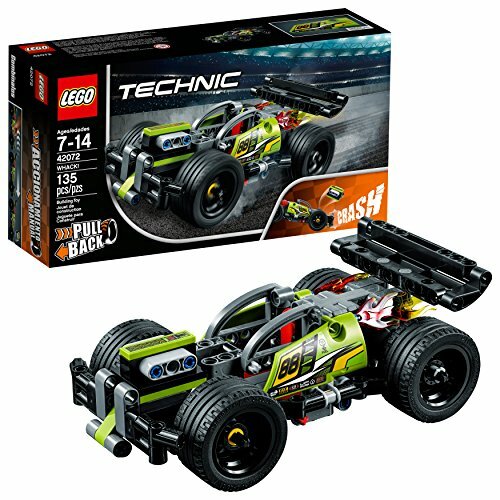 My favorite toy is certainly the Lego Technic Building Kit. I like the fact that it fine tunes construction skills while being entertaining at the same time. Your son will be able to combine it with his other Lego games, creating more elaborate scenarios and options. Does your child own one of these toys? Which toy did you decide to go for? Did you purchase one not included in this list? Please leave us your comments in the section below.